1. 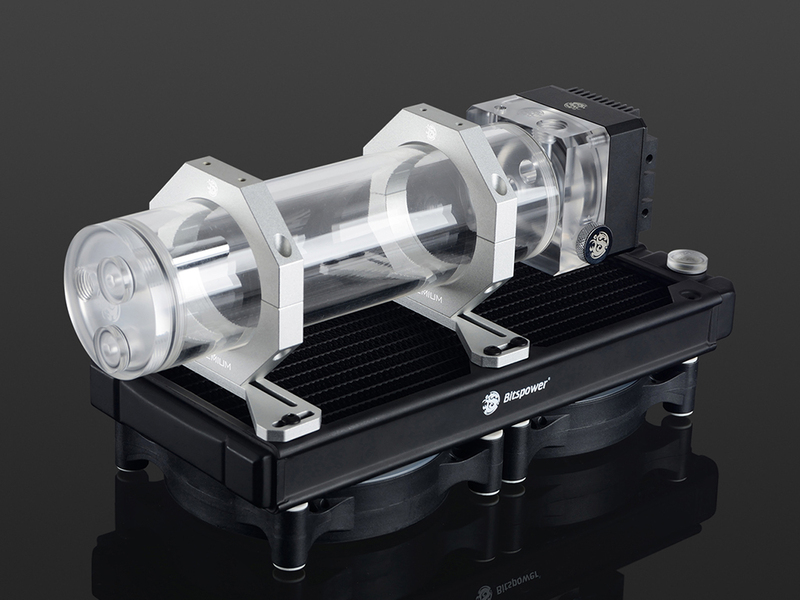 Designed For All OD 60mm Reservoir / Water Tank. 2. 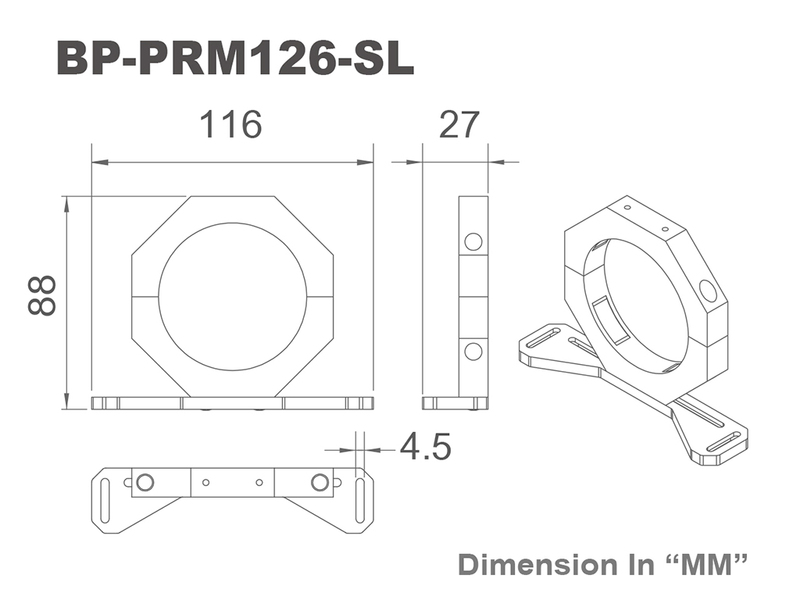 Can Be Mounted On 120/240/360/480 Radiators..
3. Unique And Solid Design. 4. 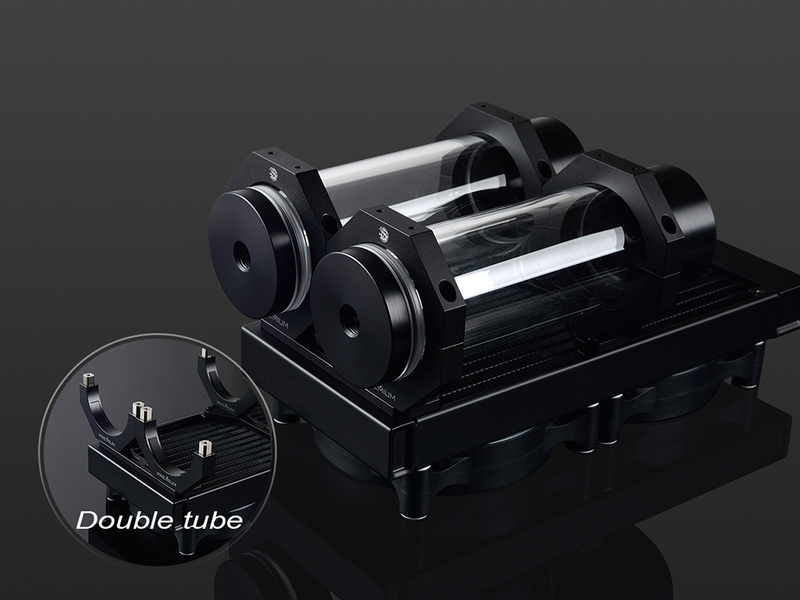 Dual Reservoir (Tube) Function Ready, See Application Example . 5. 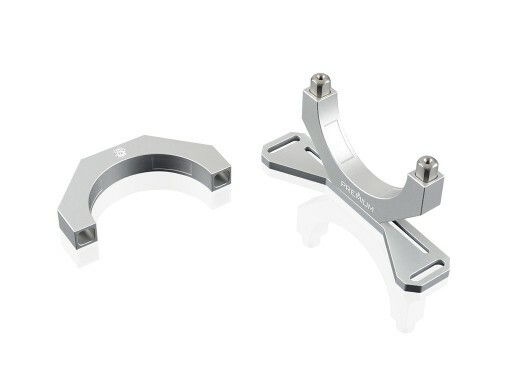 Made of Hi-Quality Aluminum Alloy. 6. High Durability Anodizing Finished.